A distressed baby manatee was rescued thanks to help from an Ohio family. 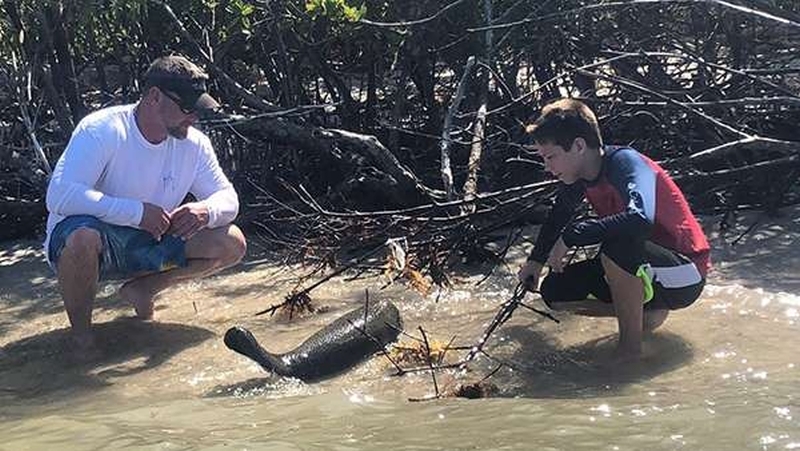 Florida Fish and Wildlife Conservation Commission said Tuesday that the family was vacationing there when they spotted a lone little manatee in shallow water. The family called the FWC and stayed on the phone near the manatee until rescuers arrived. The manatee is reportedly getting treatment at the Miami Seaquarium. The FWC said it hasn’t nursed in several days and was very dehydrated. Yup I was very happy that I was able to help an animal, when I get older I wanted to be an vet and I still want to be I plan on it. This was the best vacation ever ! Amber the worker with FWC was so kind to us. This was definitely a once and a life time thing and I’m glad rocky is doing good now! !